Hammerhead, originally uploaded by thejoysofjess. 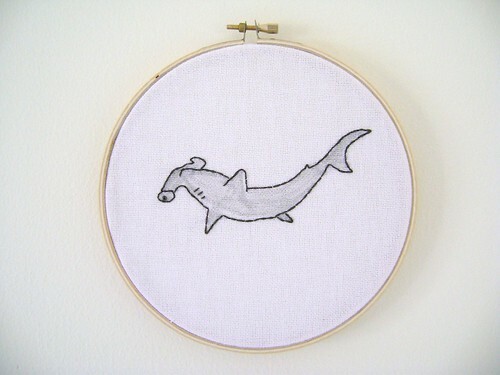 There's way too few sharks in embroidery. I want to see more sharks! Uh oh, did I just date myself?